Grand Central Publishing, 9780446617901, 320pp. Easy Rawlins comes home from work, and finds more trouble on his doorstep in a day than most men encounter in a lifetime. A friend has left his daughter at Easy's house without so much as a note. Clearly this friend, Christmas Black, a veteran of Vietnam, fears for his life and his daughter's. Easy's closest friend, the man known as Mouse, has disappeared too--and his wife tells Easy that he is wanted for murder. Mouse has been a thorn in the police's side for so long that Easy is convinced that this time they will kill him as soon as they find him. Worst of all, Easy's longtime lover tells him that she plans to marry another man. In a world of hurt, Easy strikes out on his own to try to find one friend, save another, and save himself from the pain that is driving him out of his mind. On his path he meets drug dealers, corrupt officials, every manner of criminal and con--and a woman named Faith who may hold the key to more than one life. In his tenth Easy Rawlins novel, Walter Mosley writes with a grace and insight that few writers ever achieve. 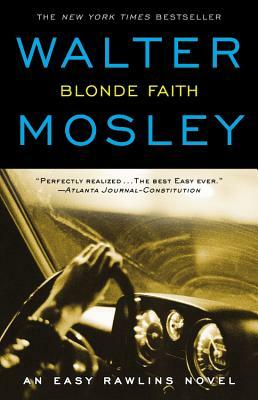 It is the clearest proof yet that Walter Mosley is "one of this nation's finest writers" (Boston Globe).